Art. M801Ø 11,5 cm.h. 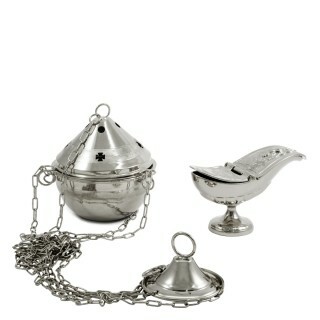 14 cm.Censer made of silvertone plated brass complete with incense boat..
Art. M802Ø 11,5 cm.h. 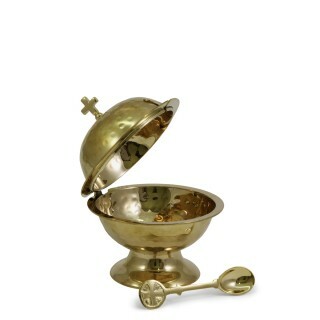 14 cm.Censer made of 24k gold plated brass complete with incense boatThe gilt ..
Art. M803Ø 13,5 cm.h. 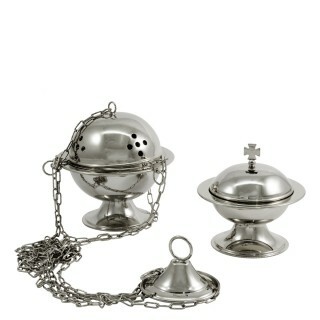 14 cm.Censer made of silvertone plated brass complete with incense boat..
Art. M804Ø 13,5 cm.h. 14 cm.Censer made of 24k gold plated brass complete with incense boatThe gilt ..
Art. M805Ø 9 cm.h. 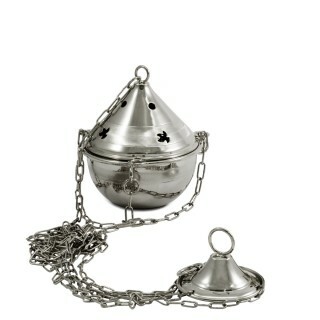 11 cm.Censer made of silvertone plated brass ..
Art. M806Ø 9 cm.h. 11 cm.Censer made of 24k gold plated brass The gilt is guaranteed..
Art. M1031 h. 8 cm.w. 14 cm.Boat for incense made of polished brass..
Art. M1031Nh. 8 cm.w. 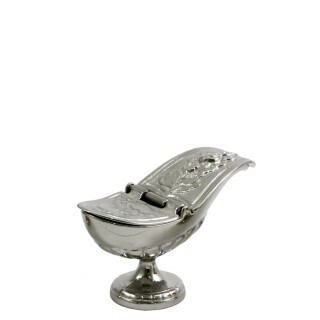 14 cm.Boat for incense made of silvertone plated brass..
Art. M1031Dh. 8 cm.w. 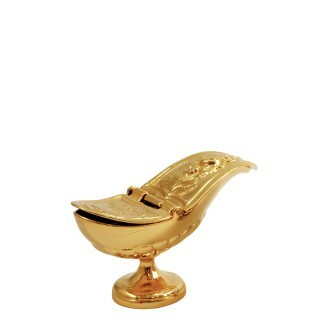 14 cm.Boat for incense made of 24k gold plated brassThe gilt is guaranteed ..
Art. M1038h. 16 cm.w. 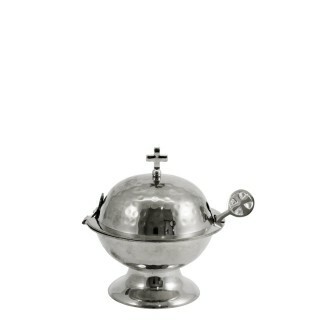 cm.Boat for incense made of polished brass. Complete with teaspoon..
Art. M1038Nh. 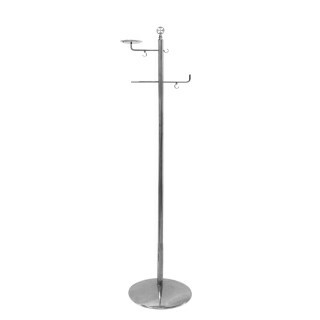 16 cm.w. cm.Boat for incense made of polished brass. Complete with teaspoon..
Art. M3002Teaspoon made of polished brass h. 15 cm.Art. 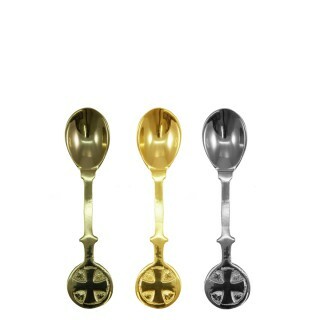 M3002DTeaspoon made of 24k gold plated ..
Art. M388DCenser- holder made of 24k gold plated brassh. 124 cm.The gilt is guaranteed..